This fashionable Unique Side Table With Glass Top by Jonathan Charles has an incredible sense of exceptional elegance. 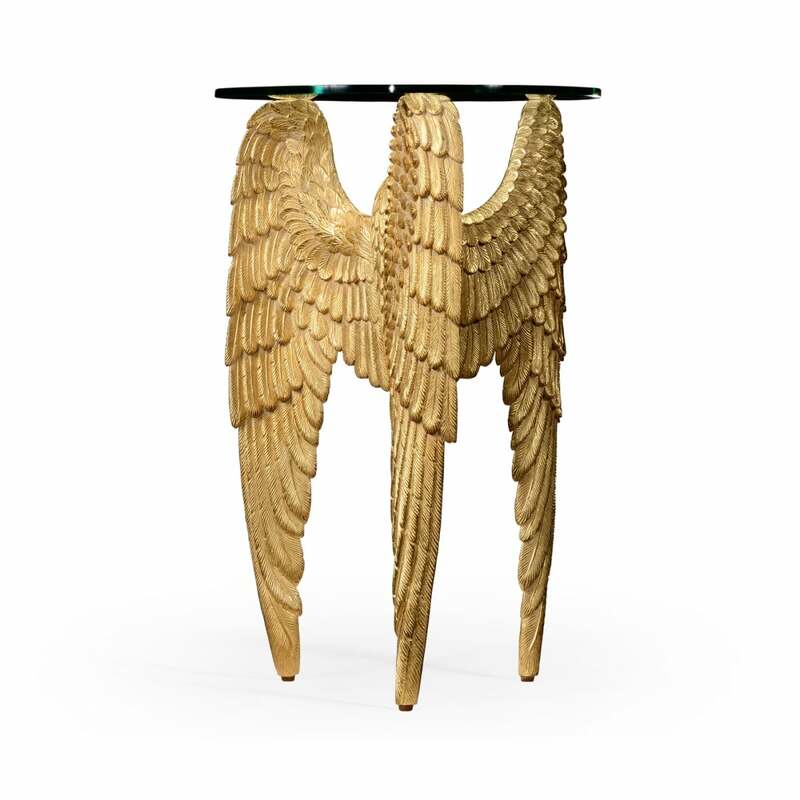 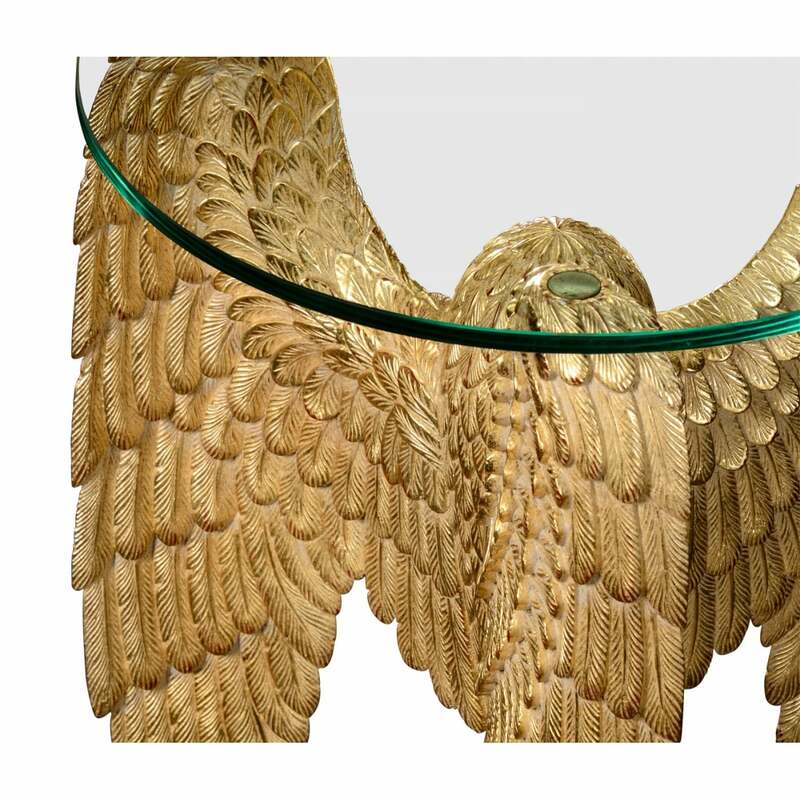 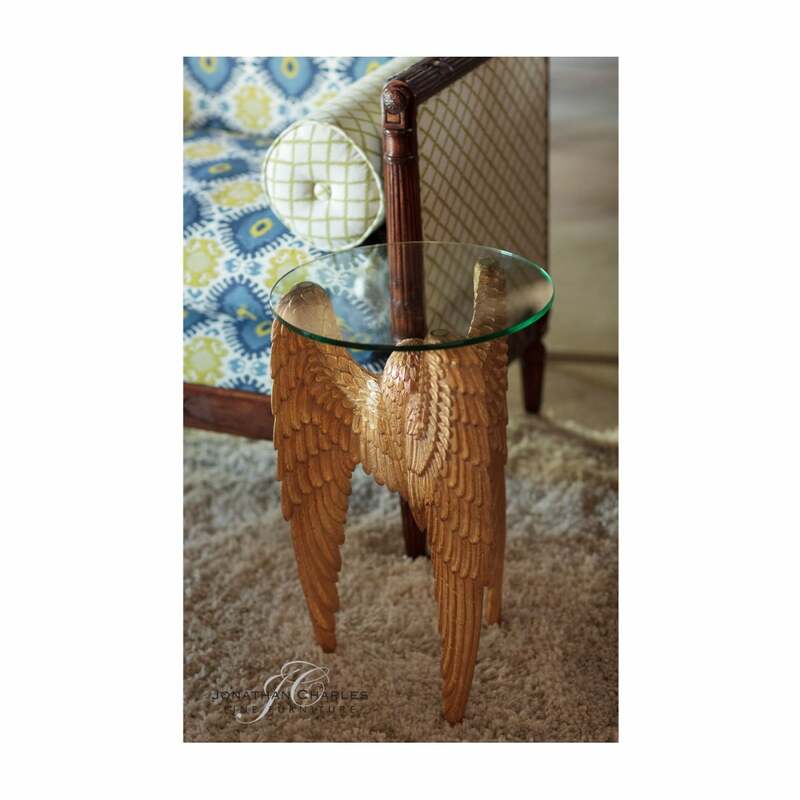 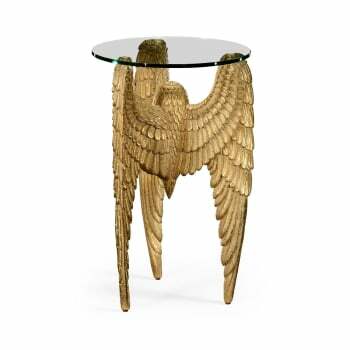 Spectacular, finely carved and Gilded Small Side Table features a naturalistically modelled three winged base, set with a circular glass top. 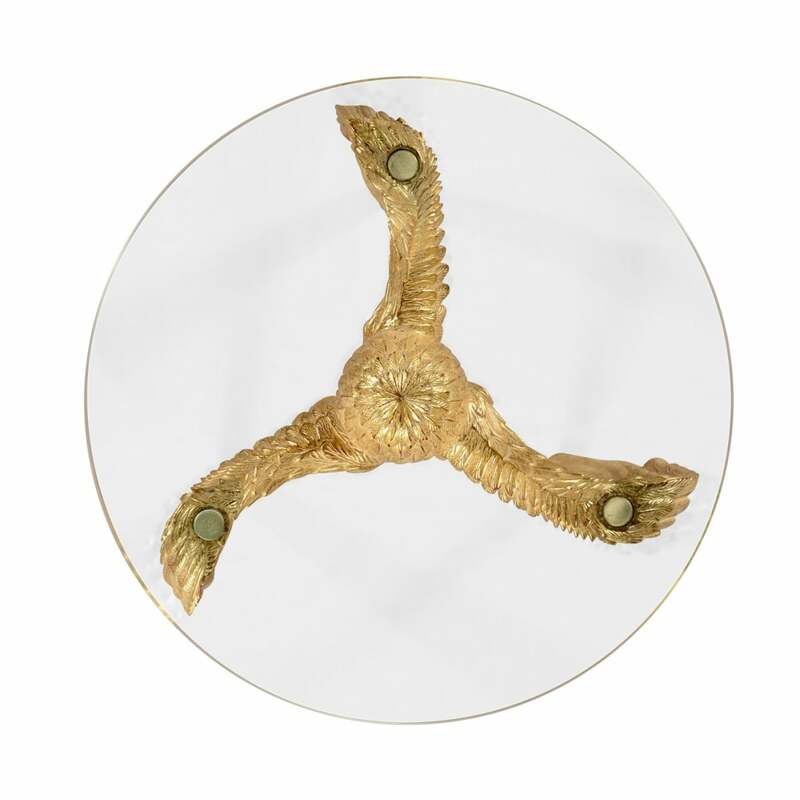 It is inspired by early 19th century French Empire style furniture. 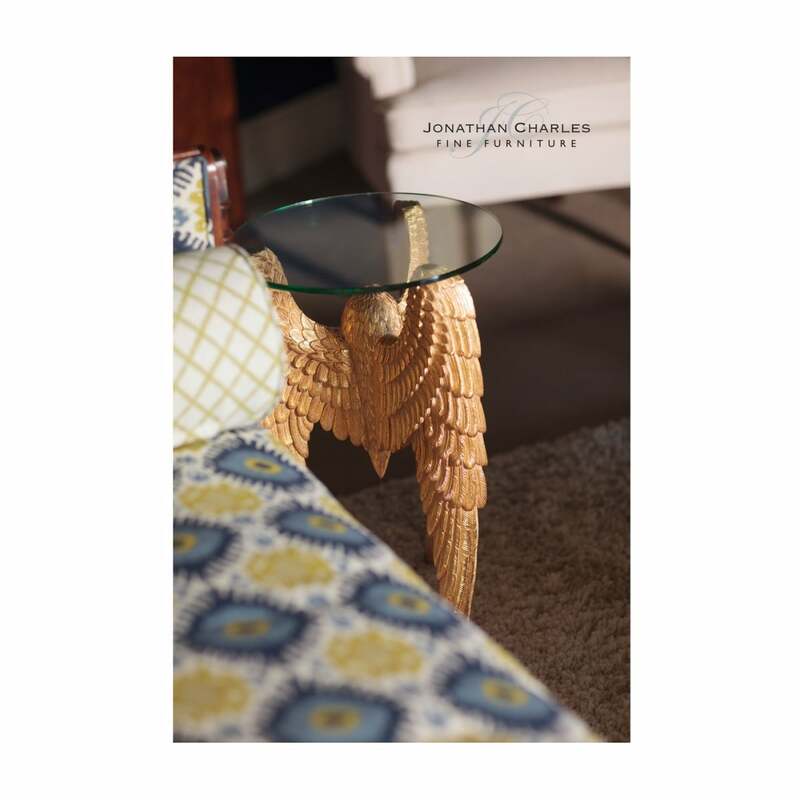 Coordinate with other furnishings from the Jonathan Charles Icarus collection.